Why Should You Consider the Mercedes-Benz GLC SUV? The 2017 Mercedes-Benz GLC is an SUV with plenty of personality, strength, and interior conveniences. Alpharetta and Johns Creek drivers need only slip behind the wheel to experience its easy-going yet no-nonsense performance. 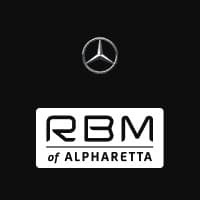 To see the new Mercedes-Benz GLC SUVs, take a quick drive to RBM of Alpharetta—just north of Atlanta! The Mercedes-Benz GLC is the picture of the authentic SUV, what with its carefully sculpted body, long wheelbase, and confident grille. Tacking on the available trailer hitch allows Alpharetta area drivers to tow as much as 3,500 pounds. That level of brawn gives many light-duty pickup trucks a run for their money. For greater aesthetic appeal, you can purchase the Sport or Night Package, which add features like AMG® body styling, 19-inch AMG® wheels, a Sport brake system, and Gloss Black exterior accents. Inside, you’ll find room for up to five passengers, as well as a spacious cargo area with plenty of sensible details. The rear seatbacks are easily configurable and can be folded in a variety of ways to make room for large items, while still seating rear passengers. Equipped with a power liftgate, a 12-volt power port, pop-out brackets, lockable sub-floor storage, and more, the cargo area is designed for both convenience and security. Inside the cockpit, dual-zone automatic climate control and a 14-way power driver seat with memory come standard, as well as a 5-year mbrace® Connect Package for on-the-go remote access. Adding to the 2017 Mercedes-Benz GLC SUVs’ interior comfort and convenience is a cascade of state-of-the-art infotainment features. The central dash comes equipped with a freestanding 7-inch screen, as well as a touchpad controller located on the center console. Using the controller, drivers can personalize the standard Media Interface, place or receive calls via Bluetooth®*, access the rearview camera, or plan a route with the available COMAND® hard-drive navigation system. Optional features can be peppered throughout the cabin for an even more entertaining drive, such as in-car Wi-Fi, voice control, and a 640-watt Burmester® Premium Surround-Sound audio system. The Mercedes-Benz GLC SUVs come packed with must-have safety and security features, from 9-way airbag protection, to Brake Assist, to rain-sensing wipers. On lengthy drives, ATTENTION ASSIST® monitors drivers’ behaviors for signs of inattention, while COLLISION PREVENTION ASSIST PLUS® routinely scans for fast-approaching vehicles and stationary objects. If an imminent collision is detected, PRESAFE® automatically preps the cabin by closing windows, tightening seatbelts, and adjusting the seats. For greater protection while towing, the GLC even comes standard with Crosswind Assist and Trailer Stability Assist. Starting at $39,150, the GLC 300 SUV outputs 241 hp and earns a respectable 22 city/28 mpg highway rating, thanks to its 2.0L turbo 4-cylinder engine. Outfitted with an ECO Start®/Stop system, 18-inch 5-spoke wheels, anodized roof rails, and a host of functional features, this SUV is engineered to keep up the pace.. 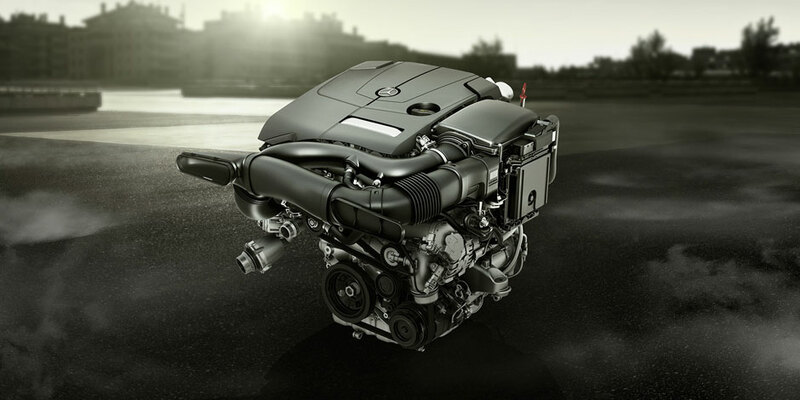 Equipped with 4MATIC® all-wheel drive, the GLC 300 4MATIC® SUV, starting at $41,150, evenly allocates the 2.0L turbo engine’s 273 lb-ft of torque to each wheel. Using ESP® and 4ETS®, the 4MATIC® system delivers maximum tire grip and inimitable driver control while scoring a 21 city/28 mpg highway rating. For a starting MSRP of $43,020, the 2017 Lexus RX 350 FWD generates 295 hp and 267 lb-ft of torque, thanks to its 3.5L V6 engine. Outfitted with its turbo 4-cylinder engine, the 2017 GLC 300 FWD – starting at $39,150 – produces 241 hp and a stronger 273 lb-ft of torque. 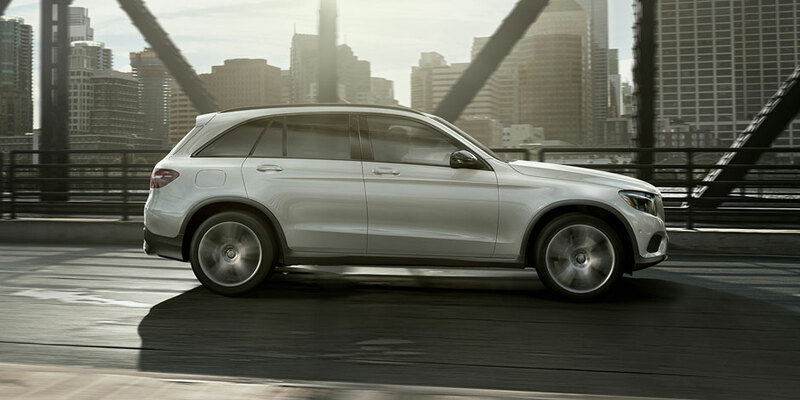 For greater traction and control, you could even upgrade to the GLC 300 with 4MATIC® all-wheel drive and still pay less! Additionally, Georgia drivers looking for classic SUV styling will likely be happier with the GLC family’s two-bar grille and practical headlamps. Equipped with a leather-wrapped steering wheel, a central infotainment display, and more, the Lexus RX 350 is comparable in the comfort department. However, choosing the Lexus RX 350 means missing out on the GLC 300 SUV’s many exclusive options. For example, the available AIR BODY CONTROL® suspension system includes an automatic load-leveling function, which lets you adjust the load-in height by 1.6 inches, and even self-levels to accommodate cargo-area weight while on the road. A Top Dealer in Northwestern Georgia! Equal parts tough and stylish, the 2017 Mercedes-Benz GLC is a fantastic choice for Alpharetta and Johns Creek drivers shopping for a family-ready SUV. To take the GLC for a test drive, contact RBM of Alpharetta from 9 a.m. to 7 p.m. Monday through Friday, or from 9 a.m. to 6 p.m. on Saturday. Don’t hesitate to drop by our dealership, located at 345 McFarland Parkway, for a detailed walkaround of the new GLC!